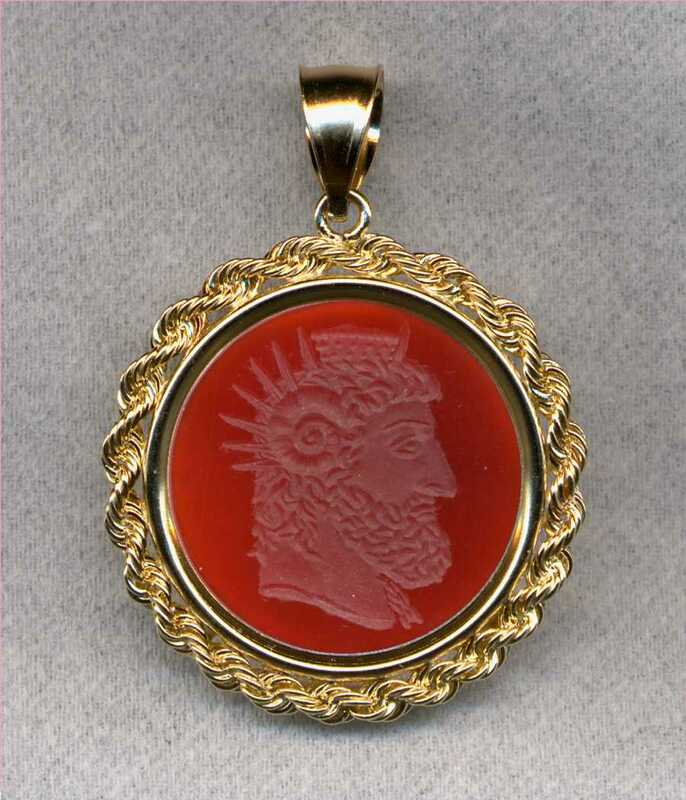 The original engraving was described in a museum catalog as: Chalcedony ringstone - Bearded pantheistic bust with ram's horns, rays and kalathos, combining the attributes of Zeus, Ammon, Helios and Sarapis. Loose locks fall down the back of the neck. The type of head goes back to a fine fourth century original. 20mm - Metropolitan Museum of Art. New York.